People always remark on how well-packaged the Triumph Bobber - and most of the Triumph heritage range - is. You know, the way they somehow hide all the wiring and make the fuel injection look like carburettors? It's all very clever, but riding it everyday I've started taking it a little for granted. Until the other day that is. Visiting a friend for a BBQ recently I paid a visit to the toilet, to be greeted with a picture of an old Triumph Bonneville on the wall. It struck me just how similar some of the parts on the Triumph Bobber look to some of the parts on a bike potentially 50 years older. The intake covers behind the carbs look almost identical. Who's a fellow X-Adv rider? 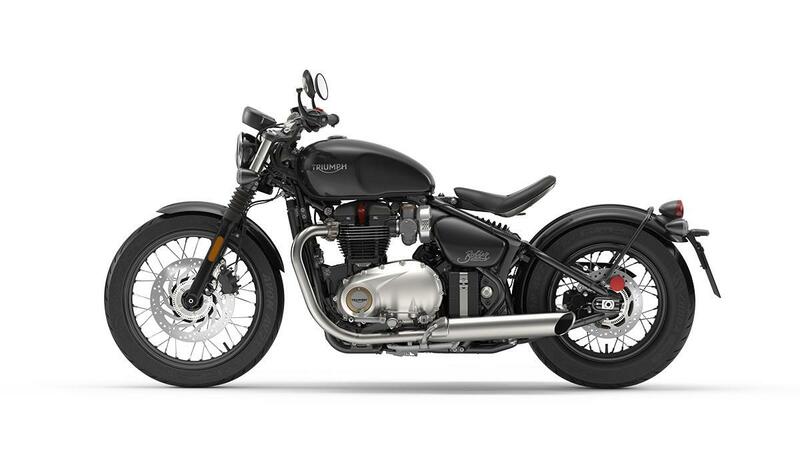 Infact, you could argue the Bobber is even better packaged than the old Bonnie. 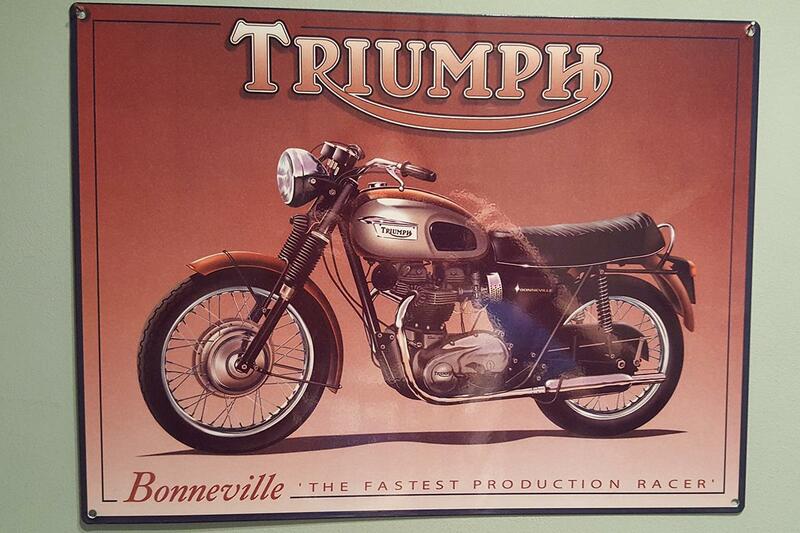 Probably because Triumph were more concerned with making the Bonneville perform well than making it look super-neat. Seeing that picture has made me really appreciate just how much time the designers must have spent making sure all the wires were out of sight.